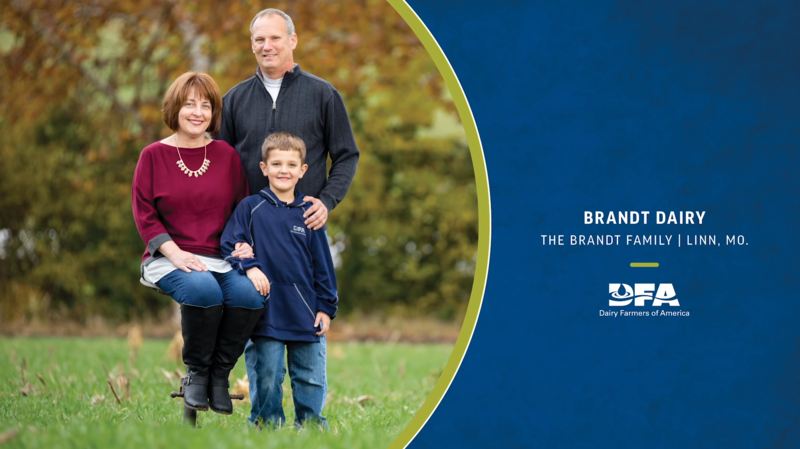 The Brandt family, owners of Brandt Dairy in Linn, Mo., has been named among the 2019 Members of Distinction by Dairy Farmers of America (DFA). DFA comprises nearly 14,000 farmer-owners across the United States. Each year, one notable member farm from each of DFA’s seven regional Areas is selected to receive this honor. 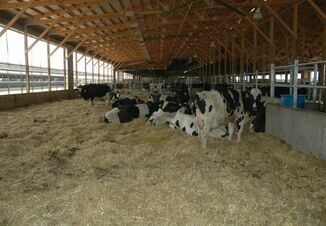 Brandt Dairy represents the Cooperative’s Central Area. Nestled in the foothills of the Ozark Mountains, Alfred Brandt was born into dairying. 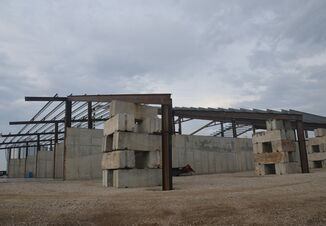 Today, as the sixth generation on the farm, he milks about 130 registered Holsteins and raises 120 acres of corn and alfalfa in Linn, Mo., along with his wife, Sonya, a lawyer in town, and his son, Sam. For Alfred, dairying is more than just milking cows. 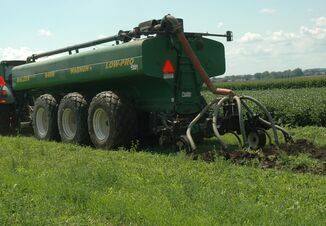 It means advocating and promoting the entire agriculture industry in his home state of Missouri. Through the years, he has been active in several different orgs, including being an advisor for the Missouri Farm Bureau’s Dairy Committee as well as president of the Missouri Holstein Association. In 2015, he also played a role in helping lawmakers develop the Dairy Revitalization Act.